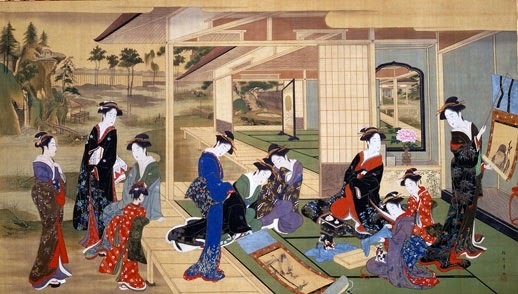 If you are curious about this topic and you want to learn more things about this millenary civilization, you can visit Mr. Gray wikispace, where you can find many videos (art, music, theater, samurais...). And there is also a fantastic BBC documentary film on Youtube about the full History of Japan but... it last almost 3 hours! So it is maybe too much, isn't it? By the way, the cover image of this post is a drawing of Hokusai, one of the best Ukiyo-e painters. Believed or not, the influence of Ukiyo-e prints was felt far and wide.For example, Post-Impressionist painter Vincent van Gogh was inspired by these Japanese prints that were exported to France in the late 1800's.